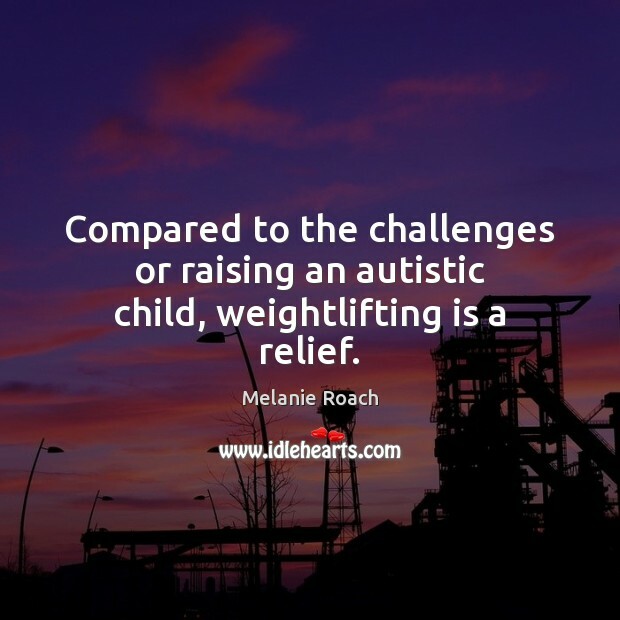 Quotations about Autistic Children. Quotes to stimulate mind and drive action! Use the words and quote images to feed your brain inspiring things daily! 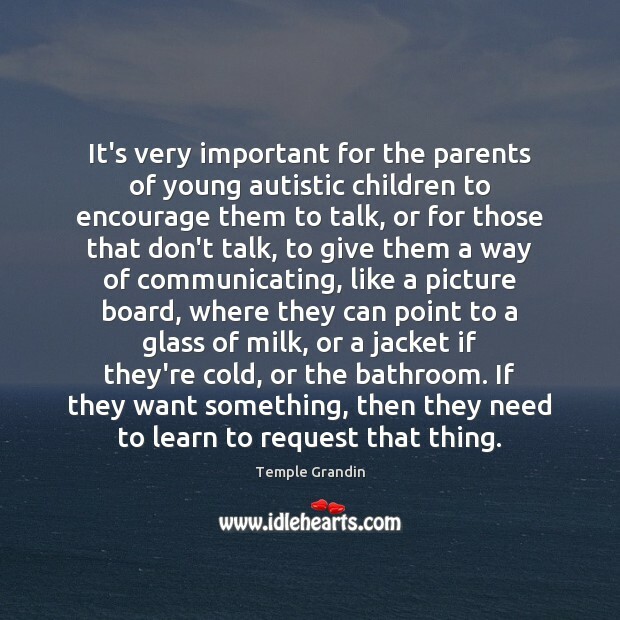 It's very important for the parents of young autistic children to encourage them to talk, or for those that don't talk, to give them a way of communicating, like a picture board, where they can point to a glass of milk, or a jacket if they're cold, or the bathroom. If they want something, then they need to learn to request that thing. 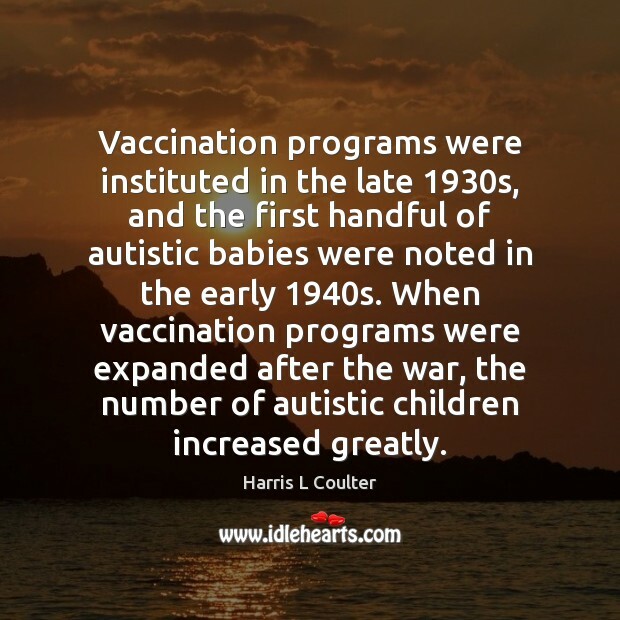 Vaccination programs were instituted in the late 1930s, and the first handful of autistic babies were noted in the early 1940s. When vaccination programs were expanded after the war, the number of autistic children increased greatly. 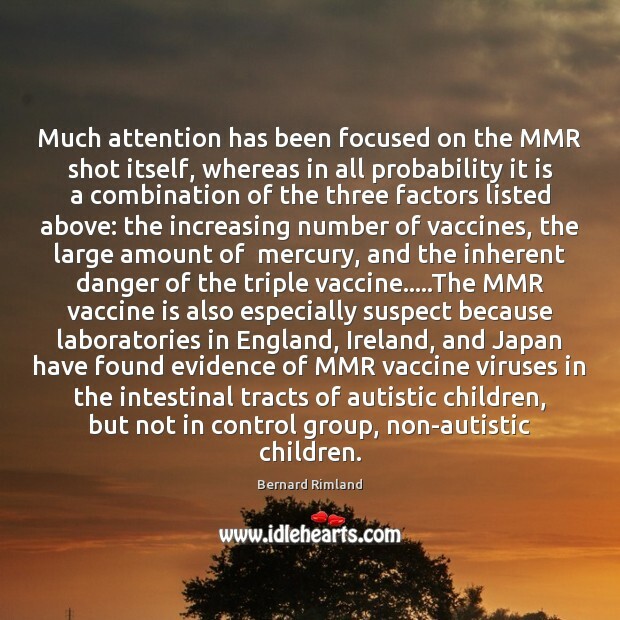 Much attention has been focused on the MMR shot itself, whereas in all probability it is a combination of the three factors listed above: the increasing number of vaccines, the large amount of mercury, and the inherent danger of the triple vaccine.....The MMR vaccine is also especially suspect because laboratories in England, Ireland, and Japan have found evidence of MMR vaccine viruses in the intestinal tracts of autistic children, but not in control group, non-autistic children. 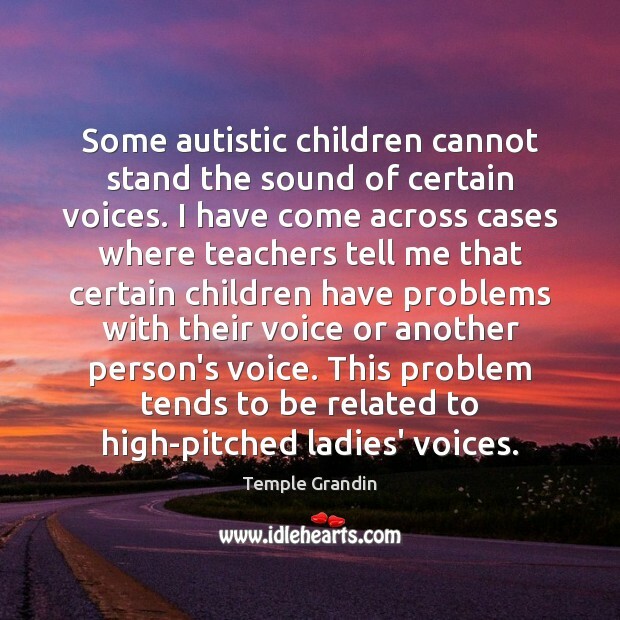 Some autistic children cannot stand the sound of certain voices. 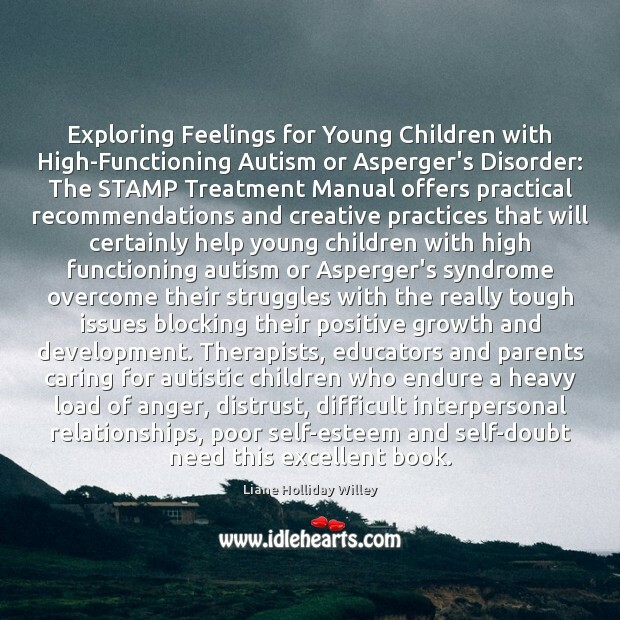 I have come across cases where teachers tell me that certain children have problems with their voice or another person's voice. This problem tends to be related to high-pitched ladies' voices. • People deserve a break. 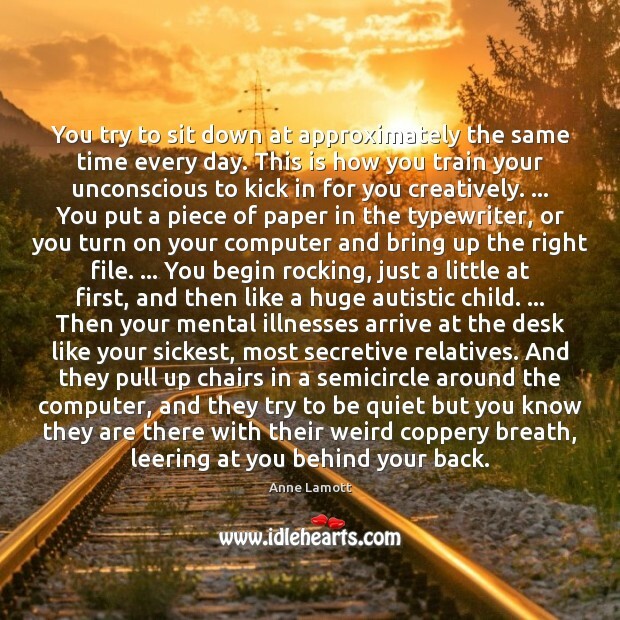 The stressed and unorganized person who doesn’t have the same priorities as you may be dealing with an autistic child, abusive spouse, fading parents, or cancer. Don’t judge people until you’ve walked a mile in their shoes. Give them a break instead. 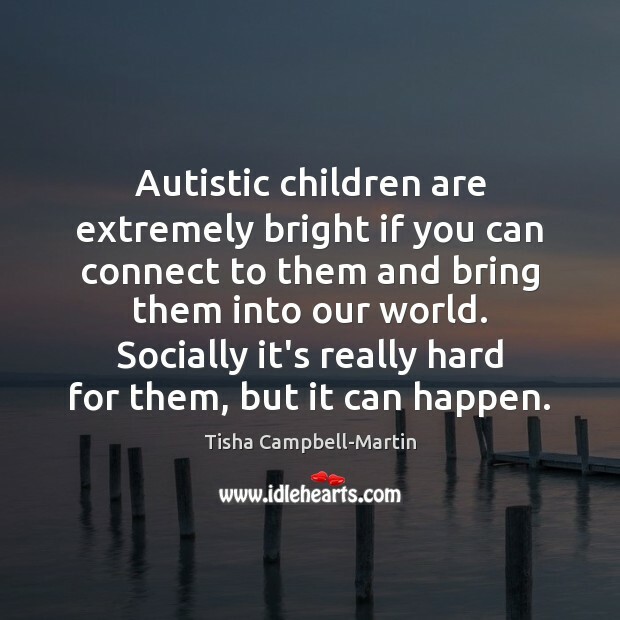 Autistic children are extremely bright if you can connect to them and bring them into our world. Socially it's really hard for them, but it can happen. 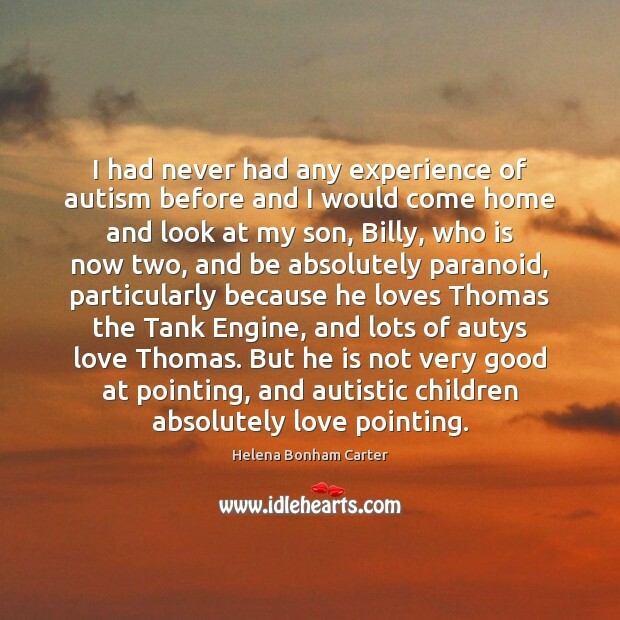 I had never had any experience of autism before and I would come home and look at my son, Billy, who is now two, and be absolutely paranoid, particularly because he loves Thomas the Tank Engine, and lots of autys love Thomas. But he is not very good at pointing, and autistic children absolutely love pointing. 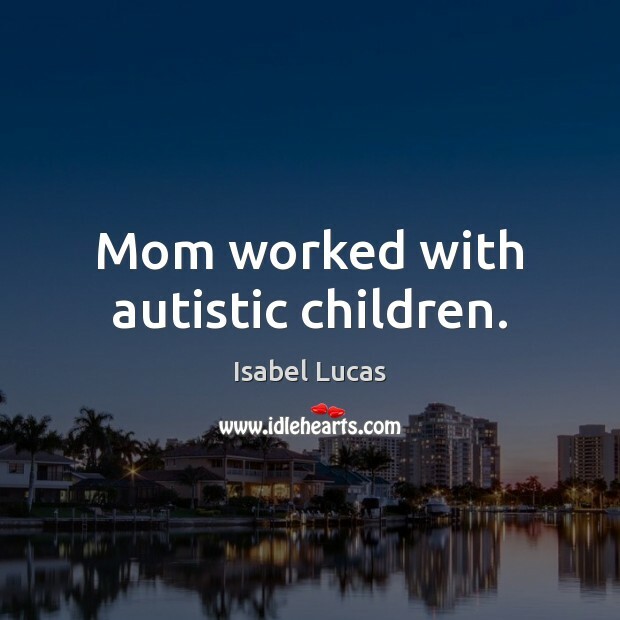 Mom worked with autistic children. 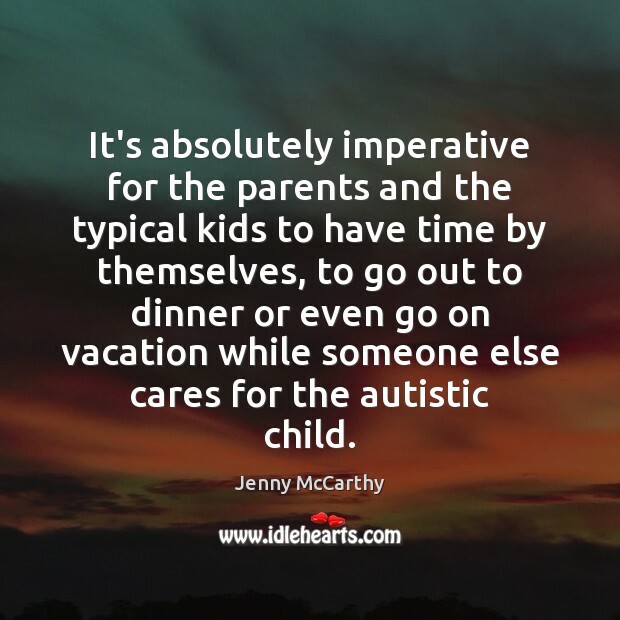 It's absolutely imperative for the parents and the typical kids to have time by themselves, to go out to dinner or even go on vacation while someone else cares for the autistic child. 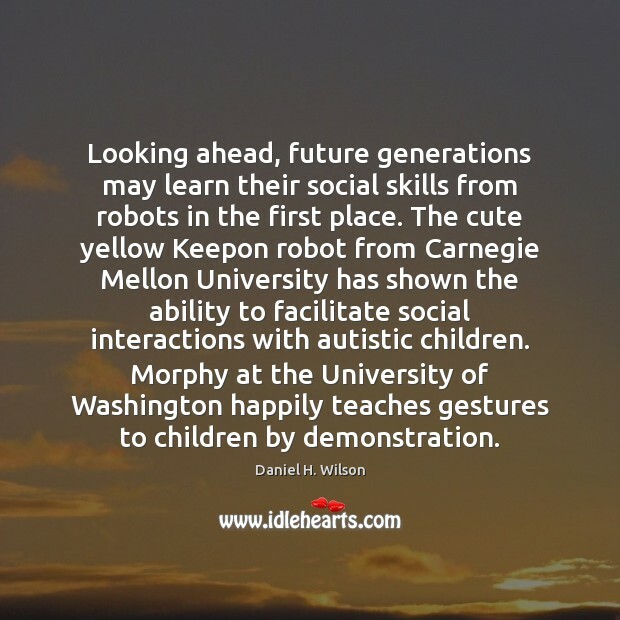 We can change the lives of autistic children. We can make a difference. 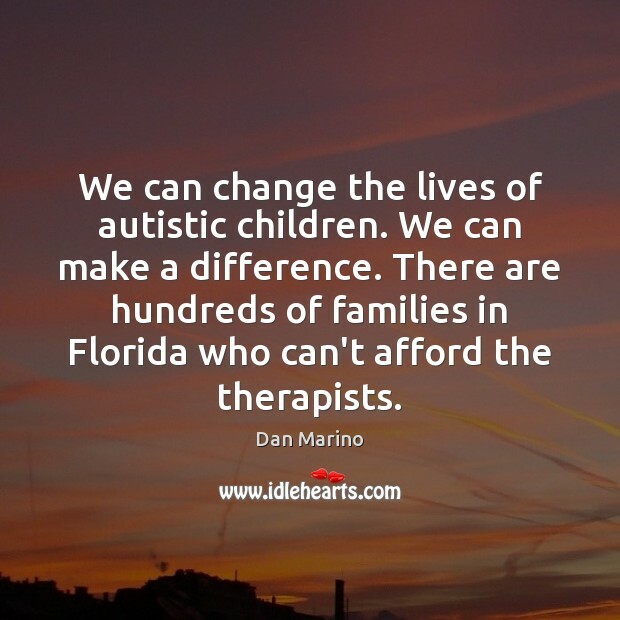 There are hundreds of families in Florida who can't afford the therapists. Parent's job = Prepare the child for the world. 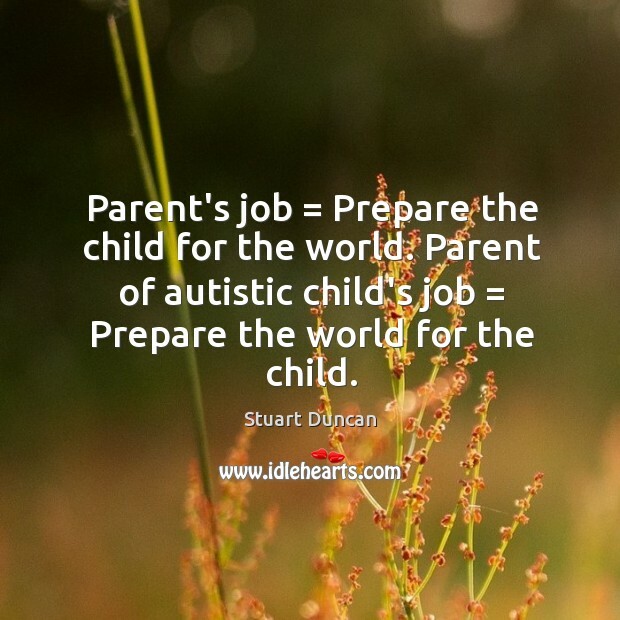 Parent of autistic child's job = Prepare the world for the child. 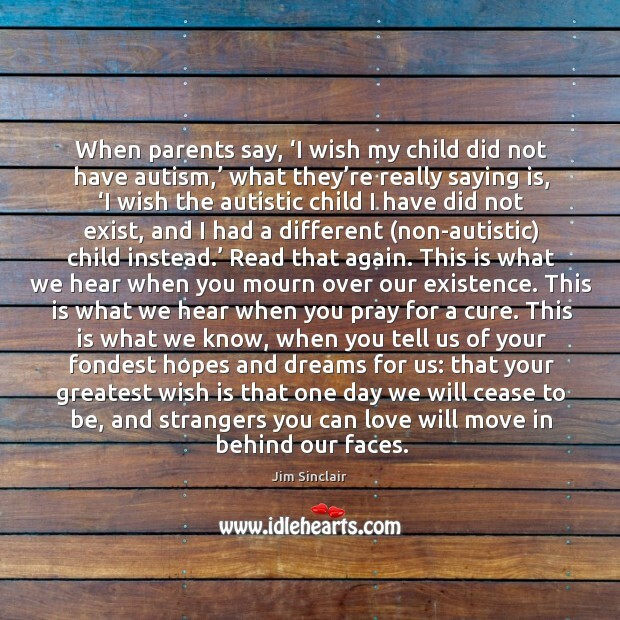 When parents say, ‘I wish my child did not have autism,’ what they’re really saying is, ‘I wish the autistic child I have did not exist, and I had a different (non-autistic) child instead.’ Read that again. This is what we hear when you mourn over our existence. This is what we hear when you pray for a cure. 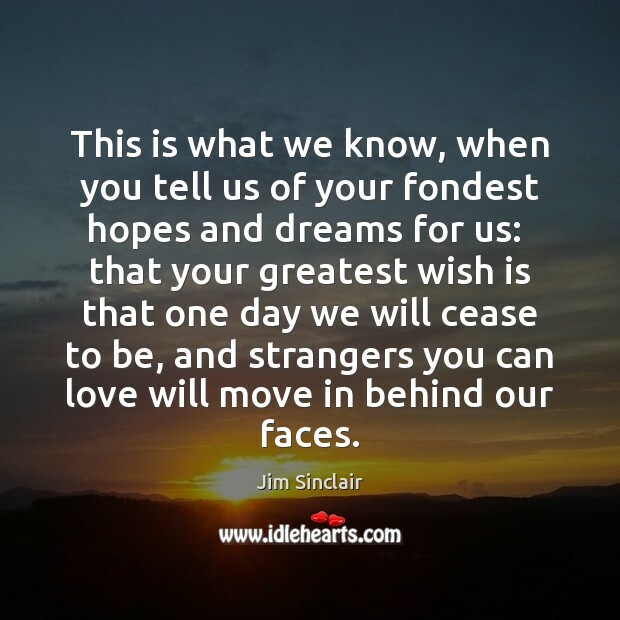 This is what we know, when you tell us of your fondest hopes and dreams for us: that your greatest wish is that one day we will cease to be, and strangers you can love will move in behind our faces.